Blog Debbie Hubbard Celebrates 40 Yrs! Debbie Hubbard Celebrates 40 Yrs! Join us as we congratulate Debbie Hubbard’s 40th year at Chase Bank. 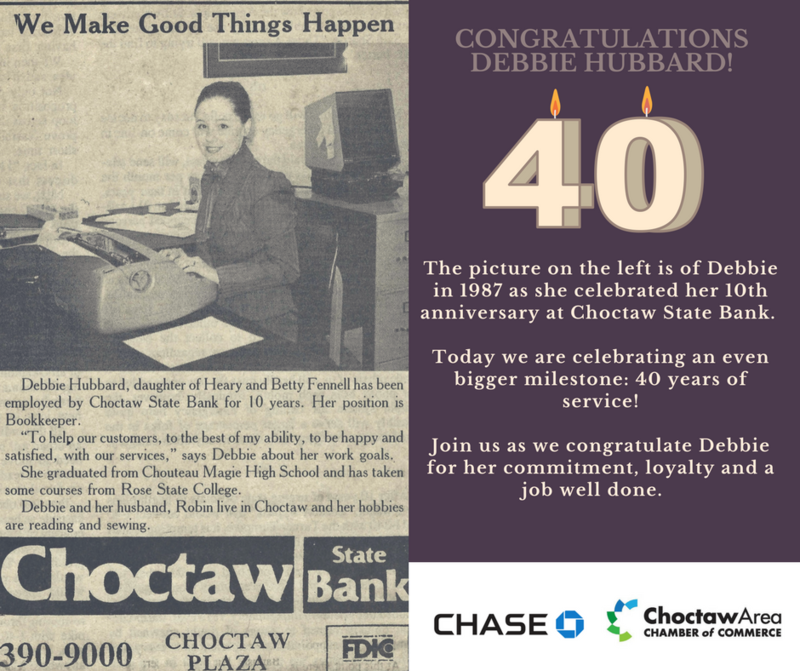 Debbie started with Choctaw State Bank in 1977 and has been with the bank through multiple ownership and name changes. Debbie is now a Senior Teller with Chase Bank. Be sure to stop by the bank to congratulate Debbie on 40 fantastic years!